A lot of homeowners are surprised to see moisture build up on their glass after having their windows double glazed. After all, you don’t expect to have to worry about your windows after investing money into them. So, why do double glazed windows get condensation? Is it something you should worry about? Find out all the answers to your questions and more below. Should Double Glazing Get Condensation? Your double glazed windows should not have any condensation on the glass surfaces that face inwards – the two surfaces that come into contact with the air space in between the two panes of glass of the insulated glass unit, or IGU. If you notice any moisture here, you have a problem with your double glazing. Will double glazing stop condensation? It is supposed to for the most part. 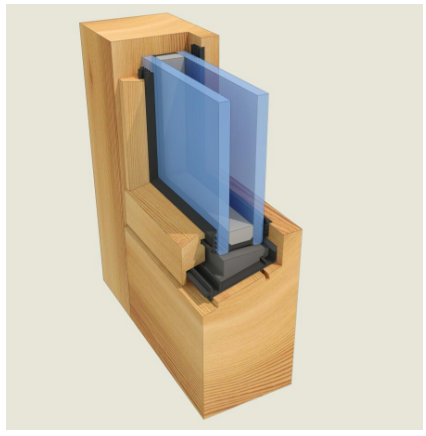 There is a silicone seal in the IGU that protects the gap in between the glass panes from any air or moisture. Even on the exterior and interior surfaces, you should notice less condensation when you have energy efficient windows. If you see some fog on the glass and start worrying – 'wait a second, should I get any condensation on double glazed windows?’ – don’t panic yet. As long as the moisture isn’t on the inside of the IGU, your windows are fine. One way you can find out is, if you can wipe the moisture off the glass with your hand or a cloth, either from the inside or the outside of your home, the condensation is where it should be. So, do double glazed windows always get condensation? The reality is, even with double glazed windows, it’s possible to see condensation. It should, however, be considerably less than you ever noticed before you had insulated windows. Better indoor air quality and a healthier home. What about new double glazed windows vs. Thermawood's patented retrofit double glazed windows – does one get less condensation than the other? 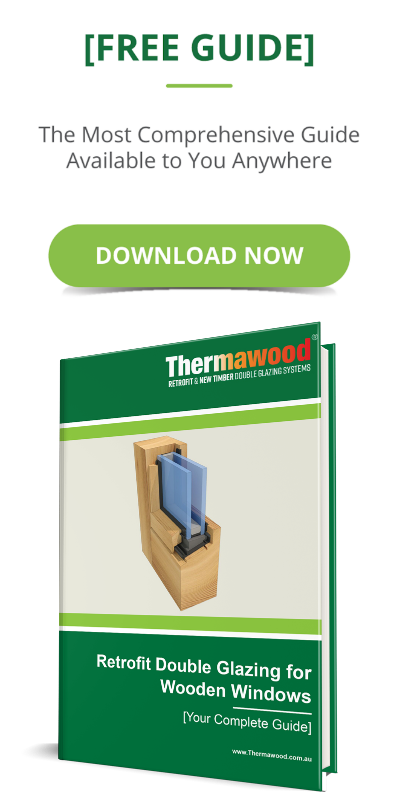 Getting new double glazed windows or keeping your existing timber frames with Thermawoods unique retrofit double glazing process won’t impact your risk for condensation. 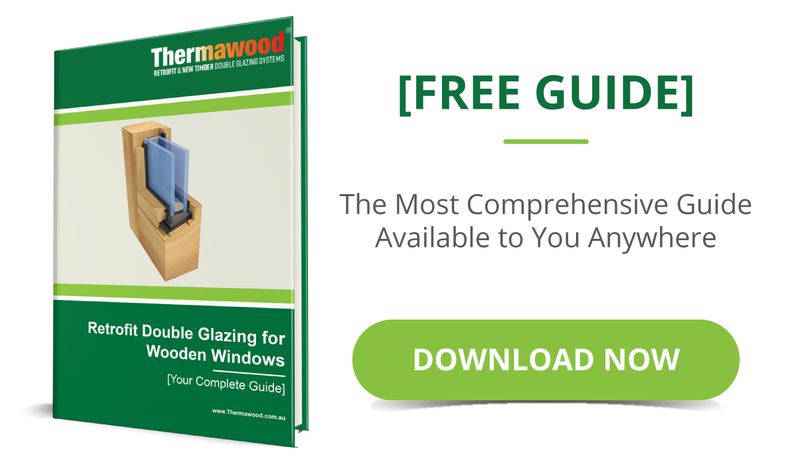 However, in order to set your windows up for a long-life without worrying about moisture damage, mould growth, and a failed double glazing unit, you need a way for any moisture that does get in your windows to get out, which is exactly what Thermawood created with the patented draining system for retrofit double glazing. Why Is There Less Condensation on Double Glazed Windows? With double glazed windows, the improved thermal insulation helps to keep the glass and the surrounding air temperature at about the same level. Because of this relative temperature consistency, there is less of a chance for moisture to form on the glass surfaces. When the glass feels cool to the touch but the air in your home is warm (with a single pane of glass, this is going to happen whenever it’s cold outside and you turn your heat on indoors), water vapour from the air is likely to form on the glass. With double glazed windows, that inner pane of glass won’t be as cold because it is protected from the outside cold thanks to the design of the IGU. It will pretty much only be impacted by your indoor air temperature. So, you have a smaller temperature difference between the glass and your indoor air, and therefore, a reduced likeliness of condensation. Why Do Double Glazed Windows Get Condensation in the First Place? Even with double glazed windows, your glass is still coming into contact with the air. If you do end up with a temperature difference, you still could see some condensation on the glass. Where you need to take notice is if the moisture is on the inside of the unit. That’s when you have a problem. What Causes Condensation in Between the Glass in Double Glazed Windows? Normally, moisture can’t get into the air gap in your IGU. But, some moisture is still going to get in around your window. This is something you can’t eliminate completely, simply because there is water vapour in the air. 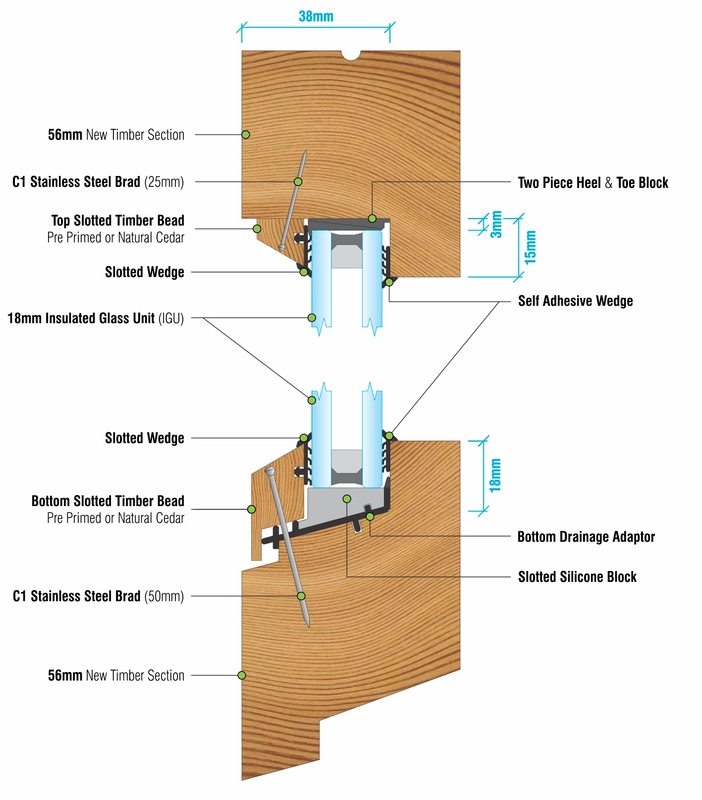 When you have a square rebate – which is the case for most double glazed windows – that moisture can accumulate, sit in the square rebate and damage the seal of the IGU. If that seal breaks then you can start getting some moisture inside the air gap. This isn’t good. It means the double glazing has failed and the IGU will no longer be able to offer the same insulation benefits. Also, you have the issue of moisture that’s getting trapped in your window – which can lead to mould growth and wood rot. Once you get to the point where you are wondering, 'why is there condensation on my double glazed windows on the inside of the unit? ', you are going to need your double glazing replaced. There’s no way to fix the double glazing once that inner seal is broken. The solution lies in preventing that from ever happening in the first place. This is why Thermawood developed a drainage system that sits underneath the double glazing on a 15-degree slope. Eliminating the square rebate and adding a system to drain away any moisture is key to preventing condensation from ever becoming a problem in the first place. Why Do Double Glazed Windows Get Condensation on the Outside? What about moisture on the exterior pane of glass – what causes condensation on the outside of double glazed windows? You may see fog form on the exterior surface when you have a temperature change. For example, in the morning when the temperature outside starts to increase after a cool night. Then, you could see condensation on the glass outside of your home as the water vapour from the outside air forms on the glass. Why Do Double Glazed Windows Get Condensation on the Inside? 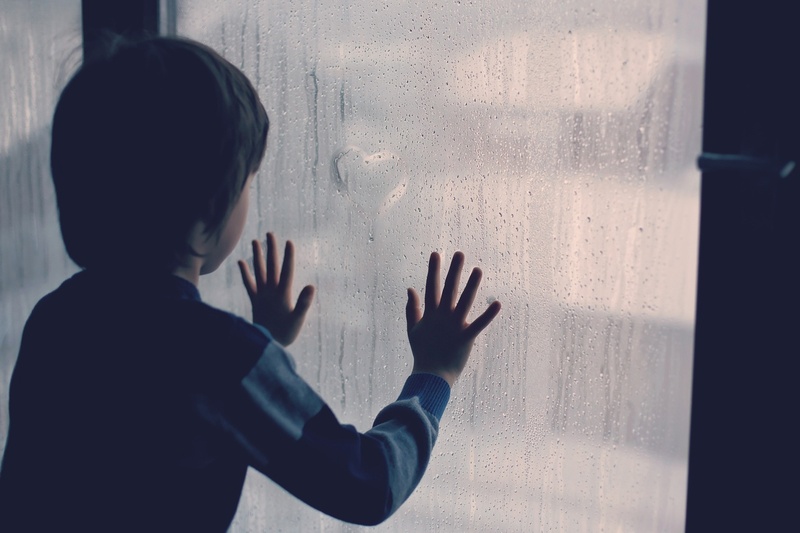 What about inside your home – what causes condensation on the inside of double glazed windows? You may also get fog on the glass inside your home when you have a temperature change, such as when you turn on the heat or turn on the air conditioning. The interior pane of glass is probably about the same temperature as your indoor air temperature before you put on the heat or cooling, so again, the water vapour in the air is going to stick to the glass. How Can You Solve the Condensation Problem? With Thermawood’s dry Retrofit Double Glazing system, any moisture in your window will leave before it has a chance to eat away at that all-important seal. Nor can it come into contact with the seal because of the special design. Your double glazed windows will work brilliantly for decades, as they should, and you won’t have to worry about condensation.